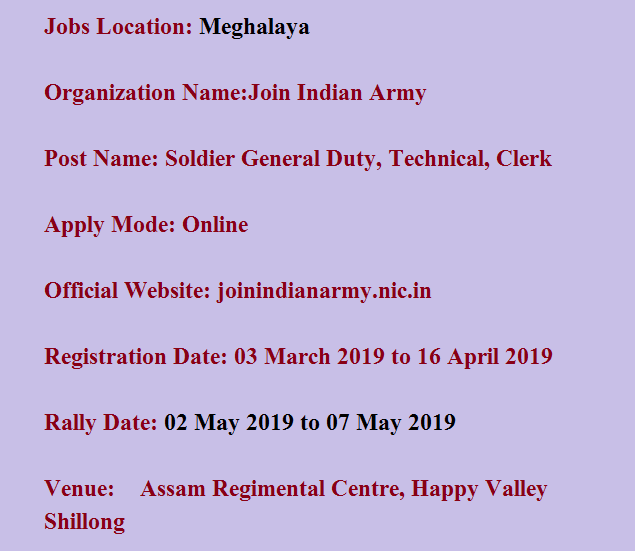 Candidates applying for this role must be between 17 ½ to 21 years Born between 01 Oct 1998 to 01 Apr 2002 for Soldier GD candidate’s and 17 ½ to 23 years Born between 01 Oct 1996 to 01 Apr 2002 for all posts. 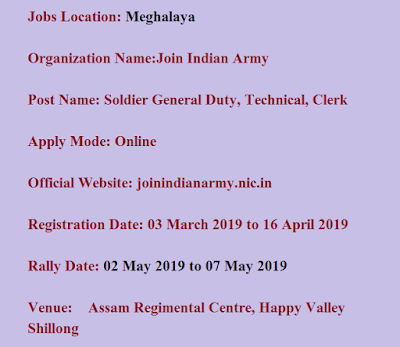 Allarmyjob.com is a free Job Portal for Indian candidates where they can search ALL kinds of Latest Government Vacancies. Visit allarmyjob.com for Govt Jobs in India for Army, Defence state level govt departments. Freshers can get free job alerts for Sarkari Naukri in India. Latest Employment News for Govt Recruitment for 5th/8th/10th/12th pass, UG, Graduate, PG, etc.